WBZ TV's Kate Merrill reports. 24-year-old Manuel Franco from West Allis says you won't see him broke or bankrupt like other lottery winners. 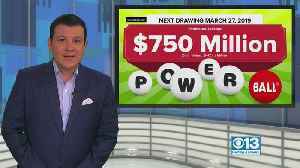 Franco is the winner of a massive $768 million Powerball jackpot. The ticket was sold in.. 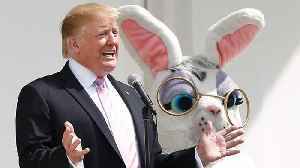 There was also a $1 million winner in New Jersey. WBZ TV's Chris McKinnon reports. 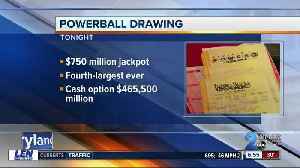 Wednesday night’s power ball drawing is the fourth largest in U.S. history. 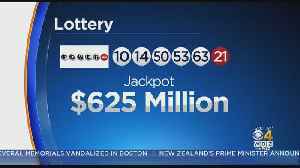 You could be $750-million richer if you win the massive Powerball Jackpot. 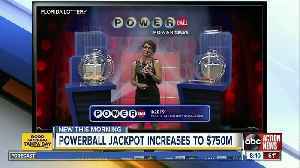 The Powerball jackpot climbed again after no one won the big prize in the last drawing. 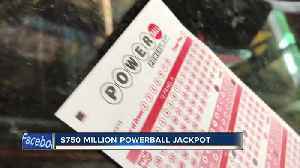 Lottery officials say the Powerball jackpot for Wednesday’s drawing has ballooned to an estimated $750 million , which would be the fourth-largest grand lottery prize in U.S. history. Ken Molestina.. 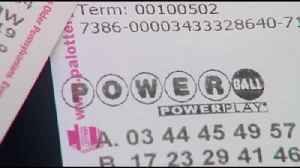 The Powerball jackpot continues inching toward $1 billion as no one took home the jackpot Saturday night. 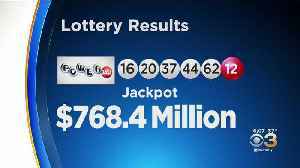 The drawing on Wednesday, March 27, will be worth an estimated $750 million. There were no winners to Saturday night’s $625 Million jackpot.